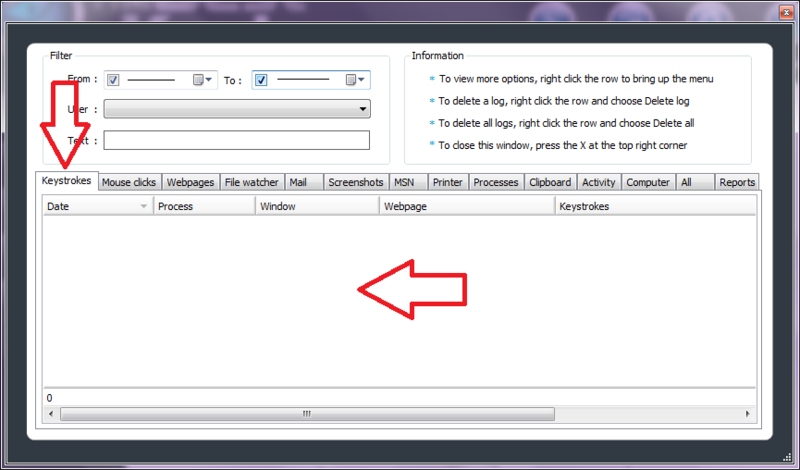 Our laboratory has decided to test the keylogger with promising name “The Best Keylogger“. However, after studying it became clear that the name of the spy falls short of expectations. 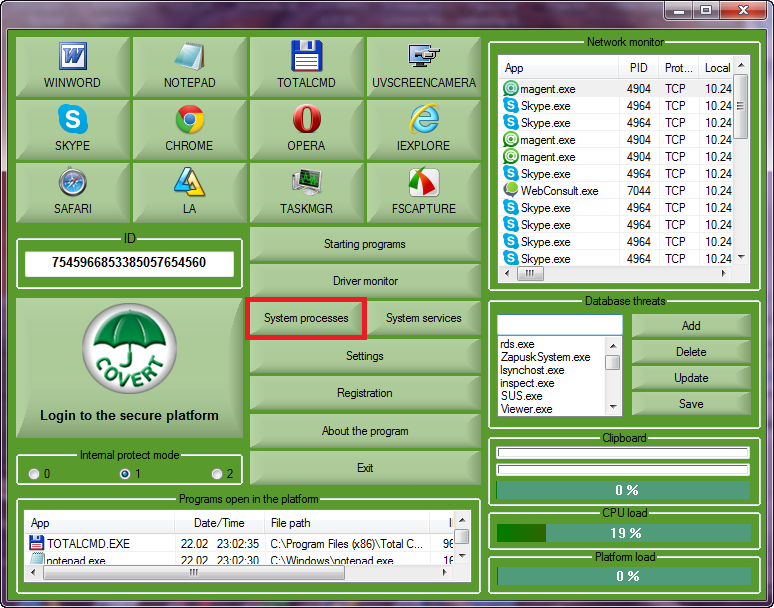 This spyware does not hide itself on the computer; it does not have its services and file system drivers. 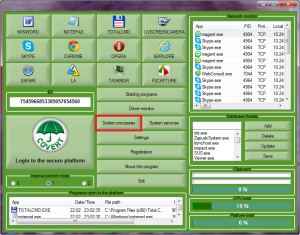 The only thing that makes “The Best Keylogger” to hide, it is located in a non-standard location for applications and adds “Sys” to the name of the path and file names. Perhaps it should mislead inexperienced users, who will think that this is a system process. 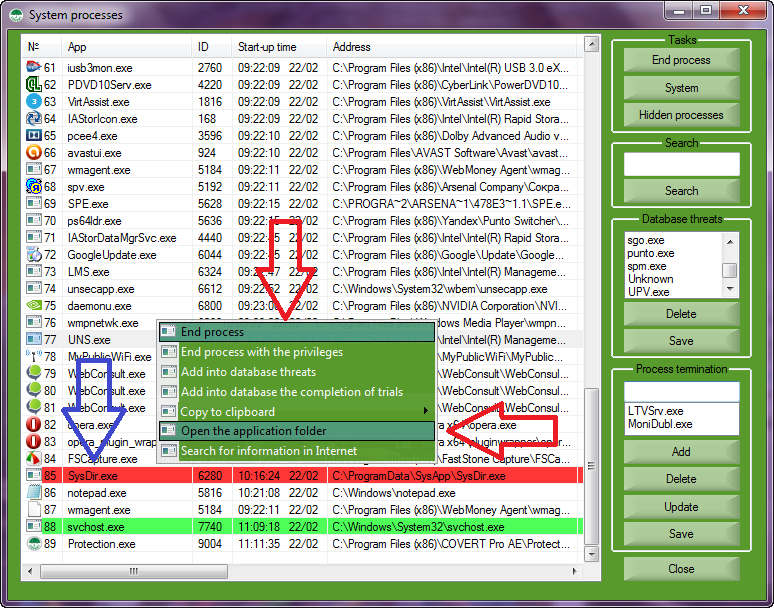 To detect this spy using COVERT, click “System processes” in the main window. 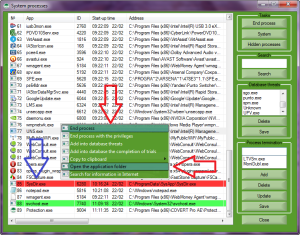 In the window that opens, we can see a list of running processes with highlighted in red process of spy «The Best Keylogger». 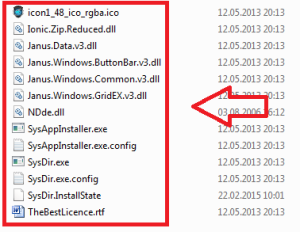 To remove spyware «The Best Keylogger», select from the context menu “Open the application folder”, and then use the same menu to end process of the spy. 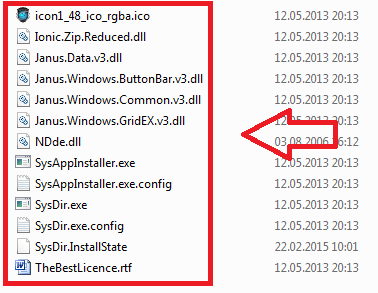 Delete all the files in the folder, including folder itself. Now spyware is removed from the system. For masking data without removing spy «The Best Keylogger», just go to the secure environment of the program COVERT, pressing the big button “Login to the secure platform” in the main window. When you work in a secure platform, this spy will not be able to see your actions and save them in reports. You will be protected from surveillance without removing spyware from your system. In the picture below we can see that the spy could not get any data because they were masked using COVERT.